Powerful 4.0Ah Lithium+ battery delivers up to 10% more performance and up to 95% more run-time. Fuel gauge displays remaining battery charge so user can manage their workload. 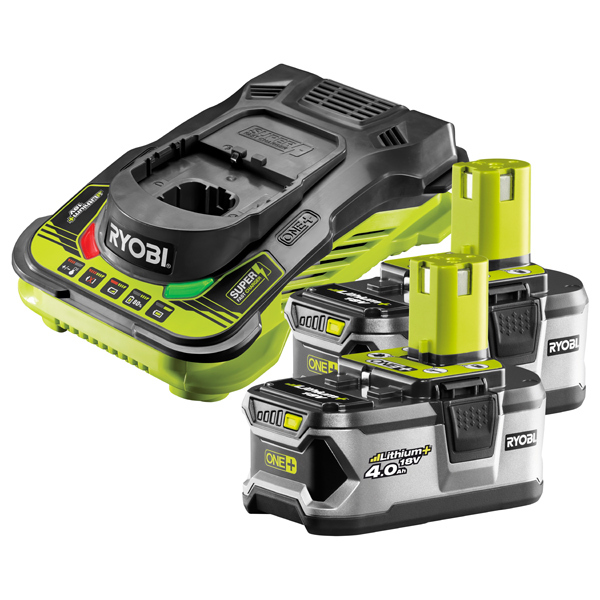 Compatible with the whole Ryobi 18v Ryobi One Plus range of Garden and Power tools.